Have you always wanted to connect your administration/booking system to your favorite web applications? From now on, you can do exactly that! We’ve made an integration with Zapier, which is a platform with well over 750 connected systems. Zapier then enables you to link all those different systems together. By: Tijmen Klein | 14-12-2017. Do you like to be aware of all that is going on in your company, especially when new visitors present themselves? You could create a ‘Zap’ for this! By creating a message to your phone in the case of a new booking for example. Or by bundling all new bookings for that day and receive a full summary at the end of it. We’re not talking about some made-up example here; this is something that already is being used by one of our members! ‘Mountain Network’ organizes the Kili-Challenge in collaboration with ‘WarChild’. WarChild hands over all made bookings in Excel once a week and Mountain Network processes them in their Recras. A Zap scans the file for any new lines and automatically fills in all contact forms in Recras for each and every seperate line filled with data! The Zap is programmed to place each column at the exact right location in Recras. Another option is to act as soon as a new invoice is created in Recras. For example, you could automatically put the invoice PDF in a specific Dropbox or Google Drive folder. Our invoices’ API also supports so-called ‘UBL invoices’. UBL is a standard format for invoices where all needed information could be added. Most accounting software allows you to import your UBL invoices, others will (hopefully) follow quickly. In short, this feature allows you to automatically add invoices to your accounting, directly after it has been produced in Recras. Are you excited? Great! Let’s make our first Zap together now! Zaps consist of two parts: a Trigger and an Action. The trigger determines when action is required (e.g. : a new invoice is created), the action determines what happens: (e.g. : copy the invoice PDF to Google Drive). The Recras integration in Zapier is currently still on ‘Invite only’. Do you want to use it? Then use this link to accept our invite. 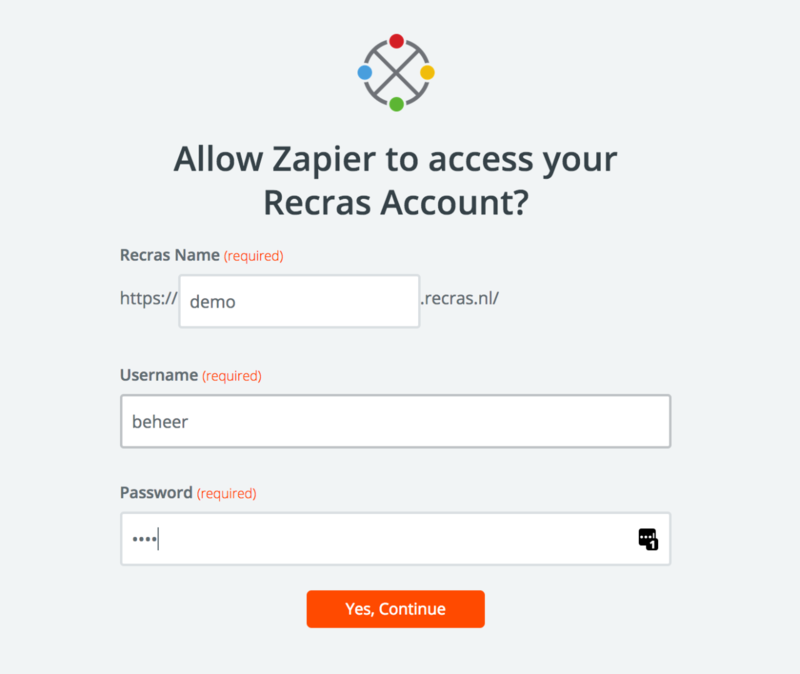 Now it’s time to give Zapier permission to your Recras account. In most cases, it would be best to create a single user in Recras. You have to do this once for every account (e.g. 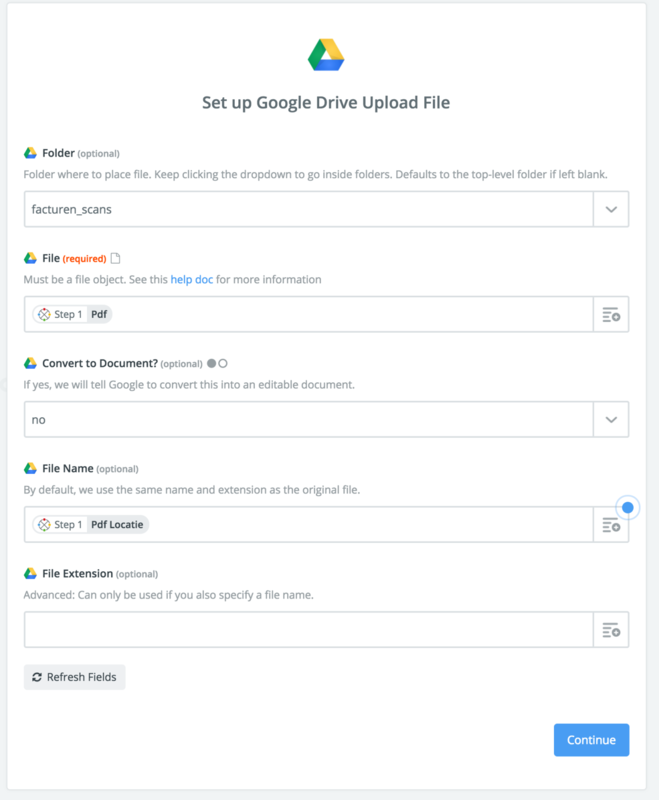 : Recras, Google, Dropbox) that connects you to Zapier. Next, you need to select a company for this Trigger. After that, you’re all set to try out your new Trigger and let Zapier check whether all settings are correct. 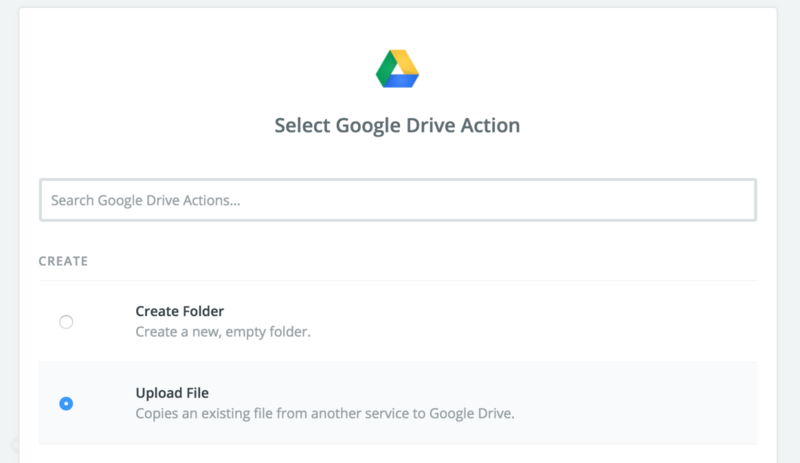 We choose to add our invoices in the file “invoices_scans” to Google Drive. We select the invoice PDF (from the Trigger) as the file, this can be done by using the dropdown menu. 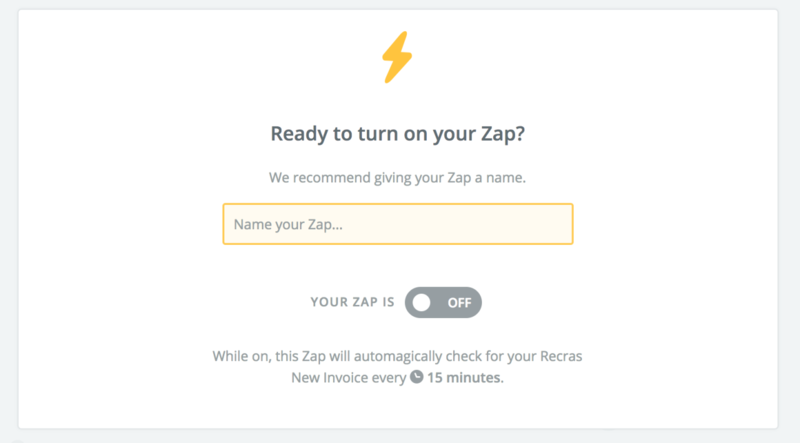 From that moment on, Zapier will check every 15 minutes for new invoices in Recras and take action, like you’ve instructed it to do. This will help you to automate numerous tasks and save massive amounts of time! We’re excited to hear what you will be using Zapier for. Do you have a nice idea or perhaps a great suggestion? Please let us know, so we can help other members. Oh, and the right way to pronounce Zapier? It rhymes with ‘Happier’!